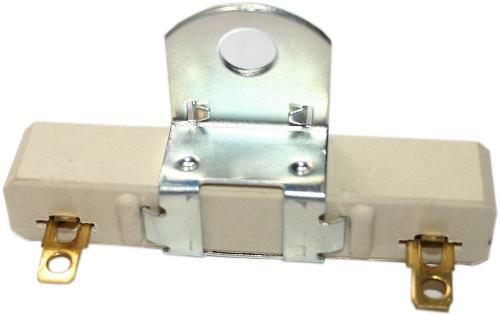 Tuneup that Early Bronco engine compartment with our full line of engine accessories and parts! Are you looking to convert your classic Ford Bronco from a 170/200 six-cylinder engine to a 289, 302 or 351W V8? If so, this section will provide an invaluable guide to ensure you get all the parts you need for your engine swap. If you are browsing our 6-cylinder to V8 Conversion section and still have questions or are in need of direction, our staff is more than happy to help you decipher exactly what you need for your V8 engine swap. 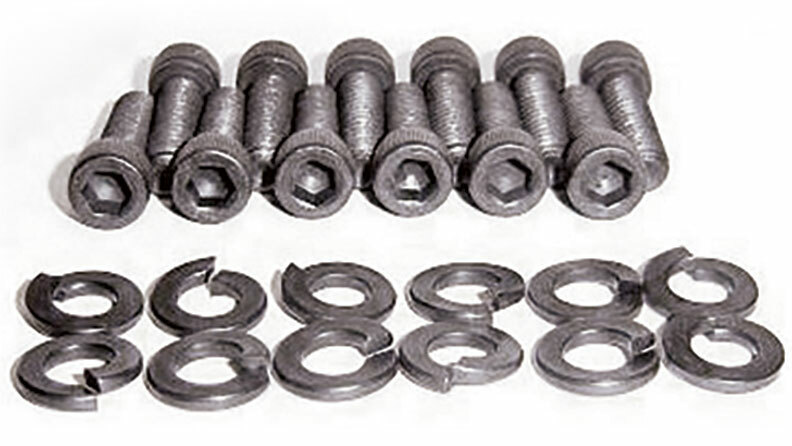 We offer components to replace or rebuild your Bronco's stock air cleaner assembly. 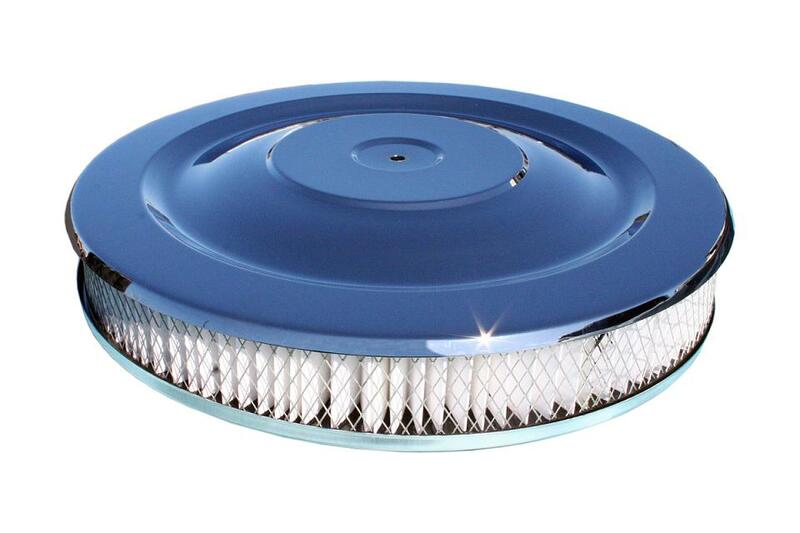 We also offer a custom, low-profile chrome air cleaner replacement. 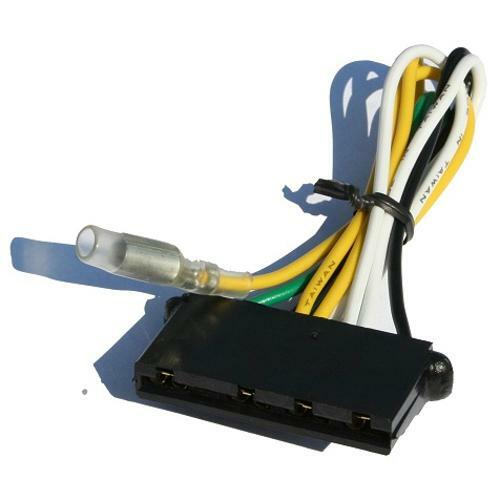 Our low-profile air cleaner fits under the stock hood when using factory carburetor and intake manifold setups. It may also fit with other setups as long as they sit no higher than the factory assembly. 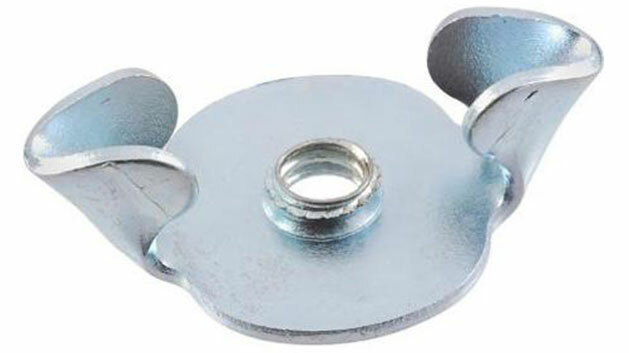 All of our Billet Aluminum Engine Pulleys are made specifically for us and to our specifications. 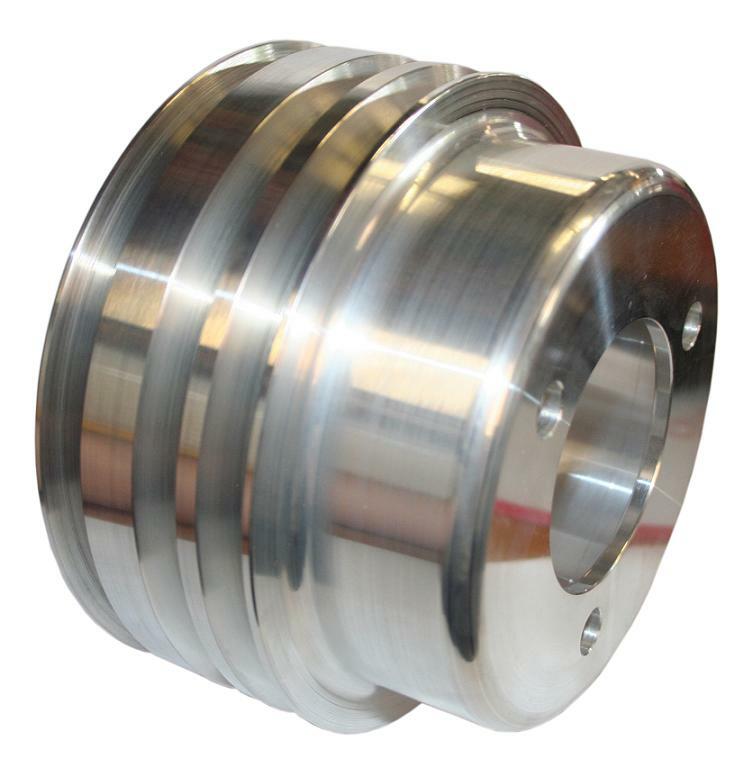 We offer Double-groove Billet Aluminum Engine Pulleys for the Water Pump and Crankshaft as well as a Triple-Groove Billet Aluminum Crankshaft Pulley option. 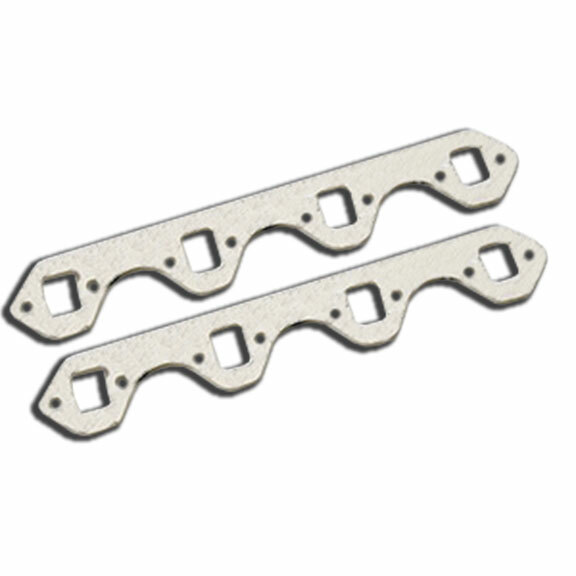 For Six-Cylinder Engines, we offer a Billet Aluminum replica of the Dual Groove Add-on Pulley. 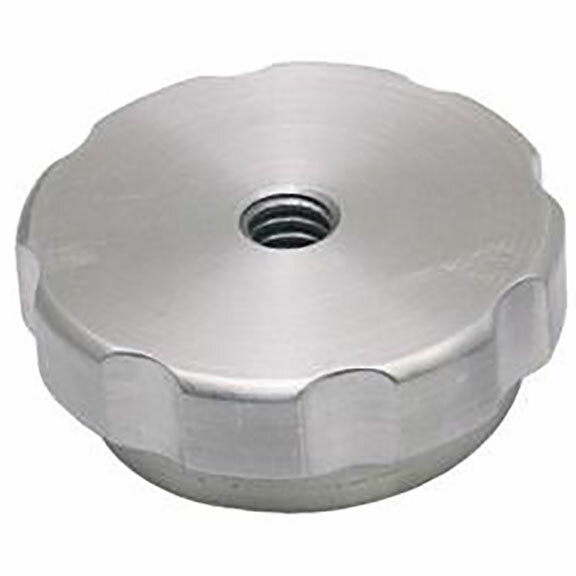 This pulley bolts onto the harmonic balancer to add a second groove that can be used for power steering, a/c or other custom applications. Whether replacing your factory exhaust manifolds or upgrading to a set of long-tube headers, Tom's Bronco Parts offers just what you need to replace your existing exhaust components with high quality replacements. 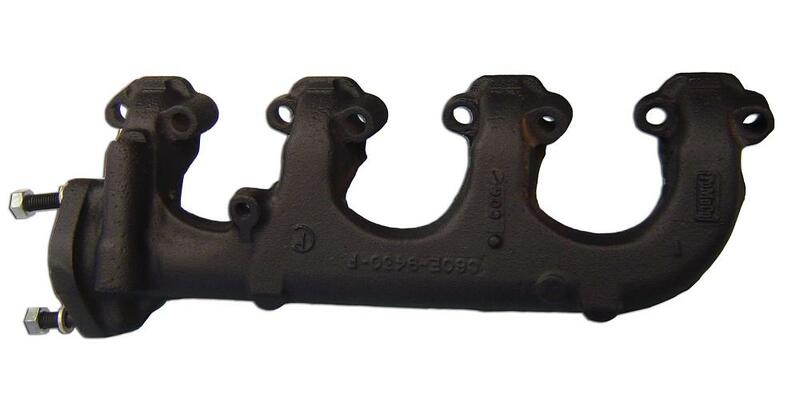 Our used V8 Exhaust Manifolds are thoroughly inspected prior to shipment to ensure they are in good working order with no cracks. 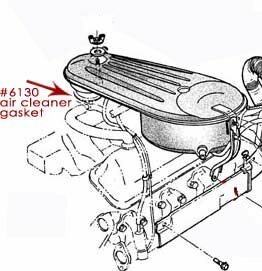 If you want to upgrade to a set of Long Tube Headers in your early Bronco we offer the best fitting 66-77 Ford Bronco Headers in the business. Our Stainless Steel Classic Bronco Headers are custom made for the 66-77 Ford Bronco and fit your 289, 302 or 351W engine. 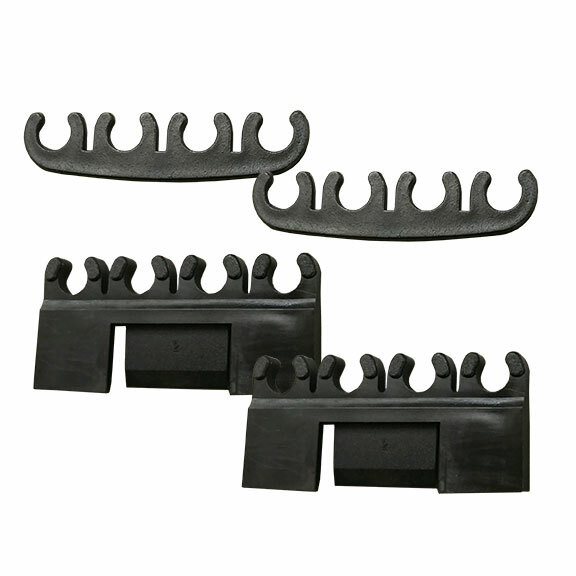 Our early Bronco headers feature 3/8" Flanges and 16 gauge tubes for maximum durability. 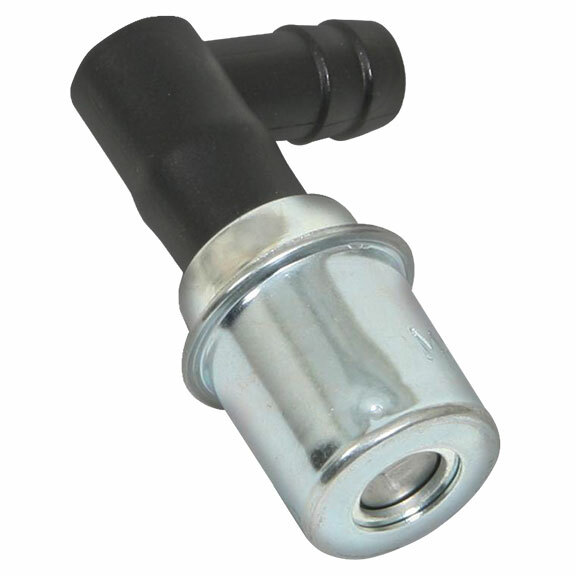 The precision bent tubing offers excellent fitment for your early Bronco. At Tom's Bronco Parts, we make it easy to purchase a quality replacement for your factory Early Bronco Harmonic Balancer. Our harmonic balancers for 289, 302 or 351W V8 engines are a performance quality balancer with universal fitment. 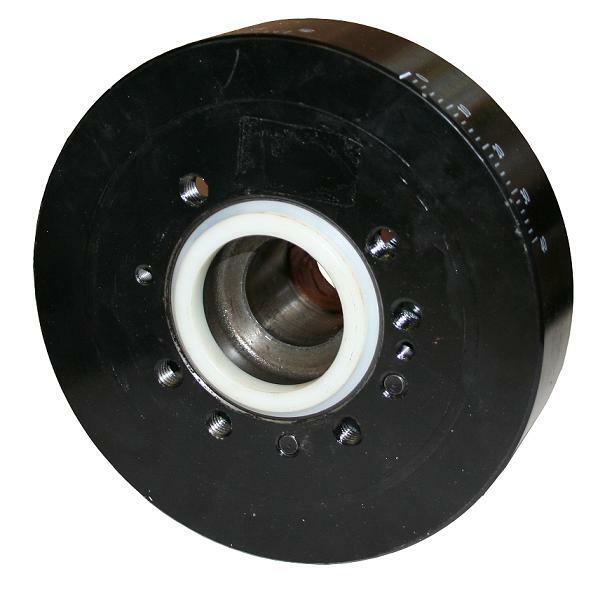 By universal fitment, we are referring to the fact that the same balancer works to replace factory units with or without the dowel lip for the crankshaft pulley. 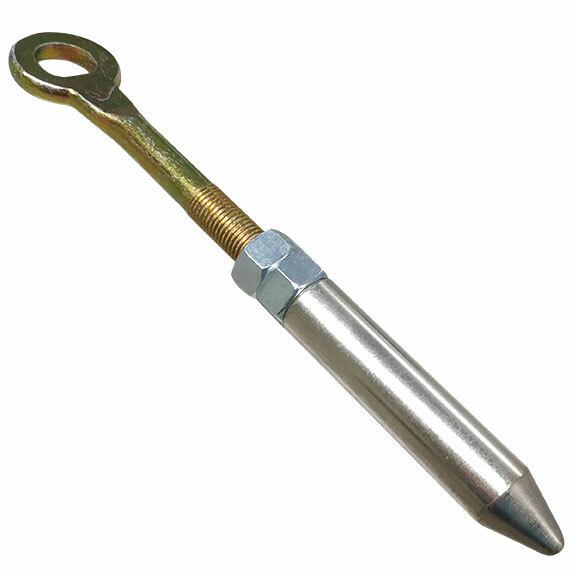 They also have hole patterns pre-drilled for 3-bolt or 4-bolt pulley applications and have multiple sets of timing marks for multiple pointer setups. For those of you running a 170 or 200 six-cylinder engine, we also offer a high quality replacement harmonic balancer for your application. 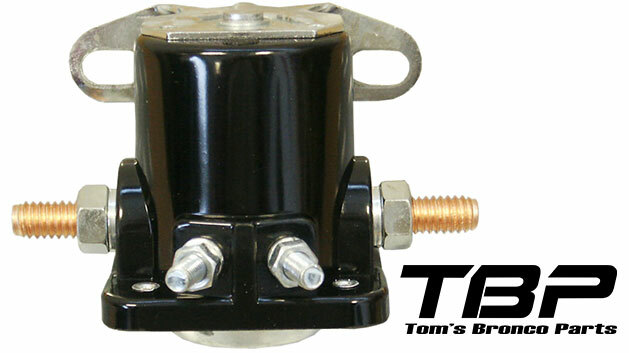 Keep your early Bronco engine mounted in place with new OE Style Motor Mounts or our custom Heavy Duty Motor Mounts. 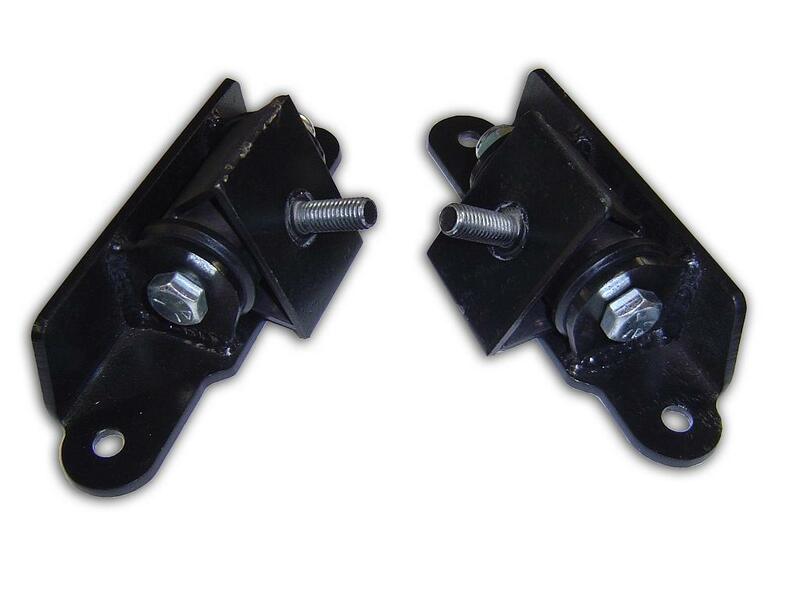 We offer 66-77 Ford Bronco Motor Mounts for 289,302 & 351W V8 in both stock style and heavy duty options. 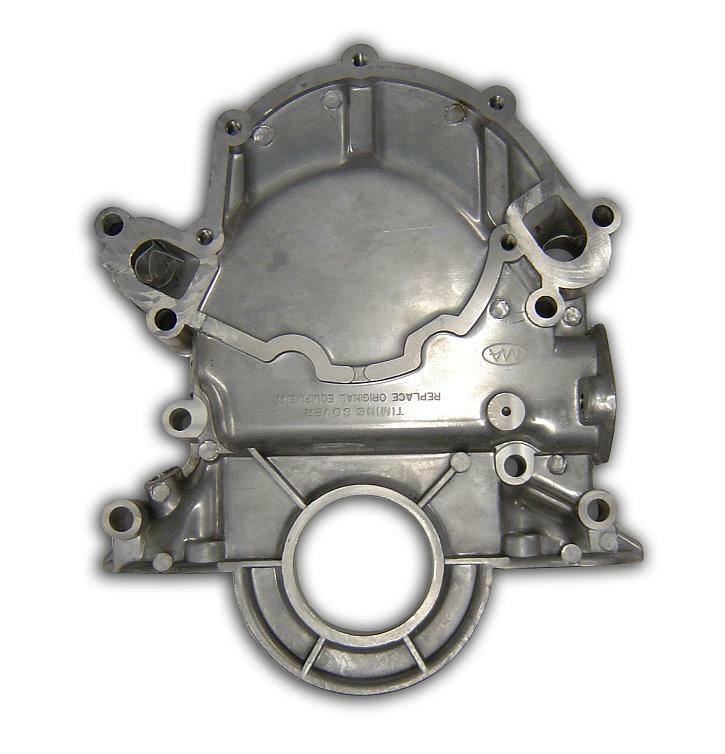 We also offer stock replacement 170/200 six-cylinder motor mounts and V8 Motor Towers. 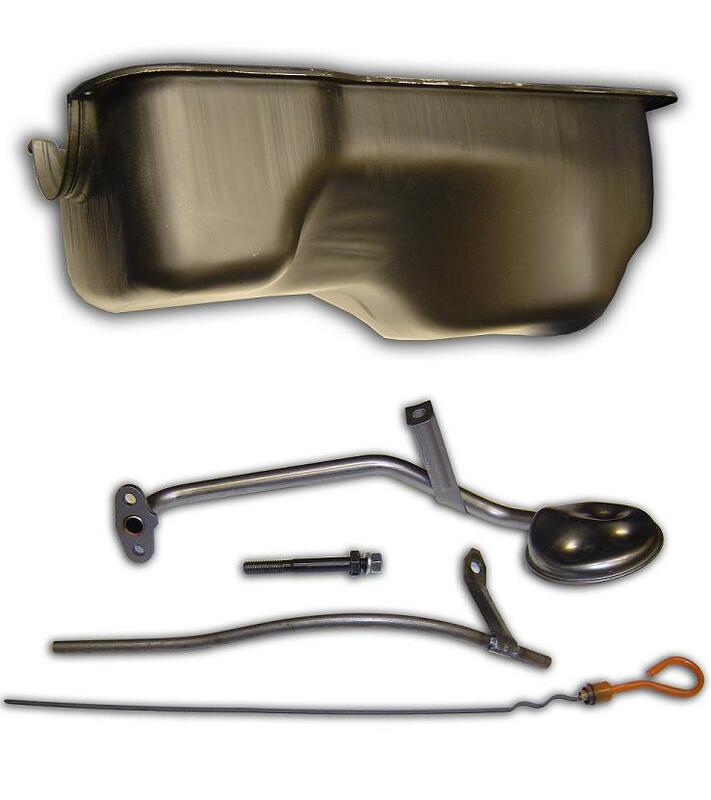 Replace your factory 66-77 Ford Bronco Oil Pan with our new complete oil pan kit for 289 or 302. 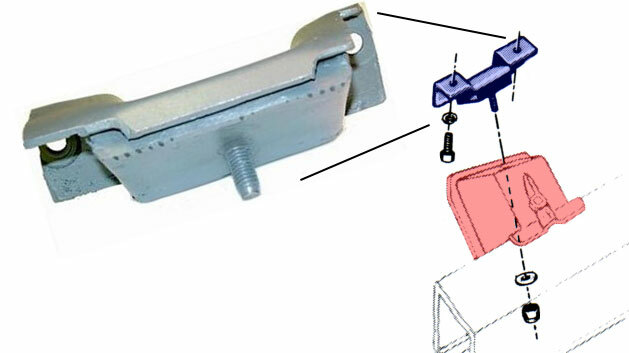 We can also supply you with an oil pan kit to convert your Bronco to a 351W. 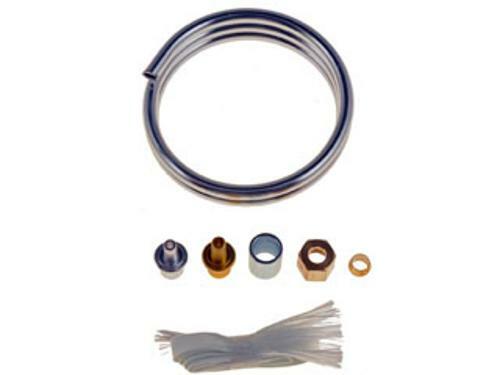 Oil components are available in complete kits or you can pick up just the parts you need. 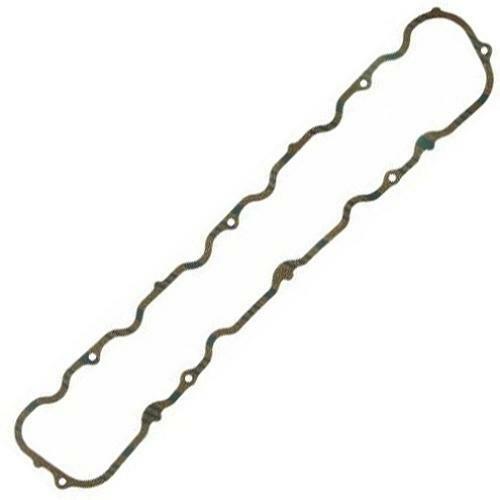 We have oil pump pickup screens, dipsticks and tubes, one-piece oil pan gaskets and more. 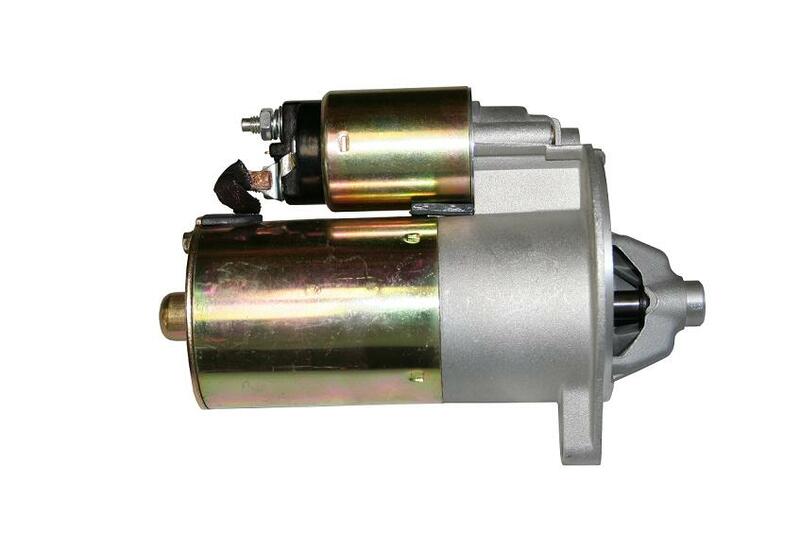 Our High Torque Mini Starters are an ideal replacement for the factory starter on your classic Bronco. These starters are considerably smaller and lighter than the factory original Bronco starter, but they offer a marked increase in torque. This increase in torque provides much better starting power. The small footprint of our starters make them easier to install (they can be installed with headers in place) and also allows for better clearance in custom applications where space is a factor. 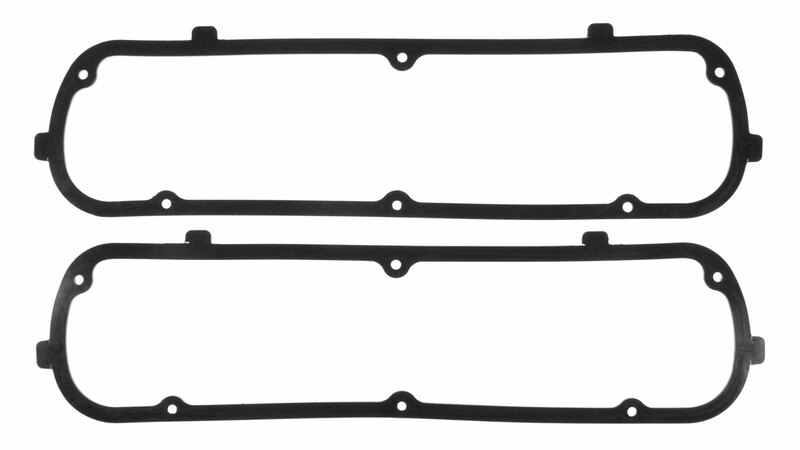 We offer an excellent replacement Timing Chain Cover for your early Ford Bronco. 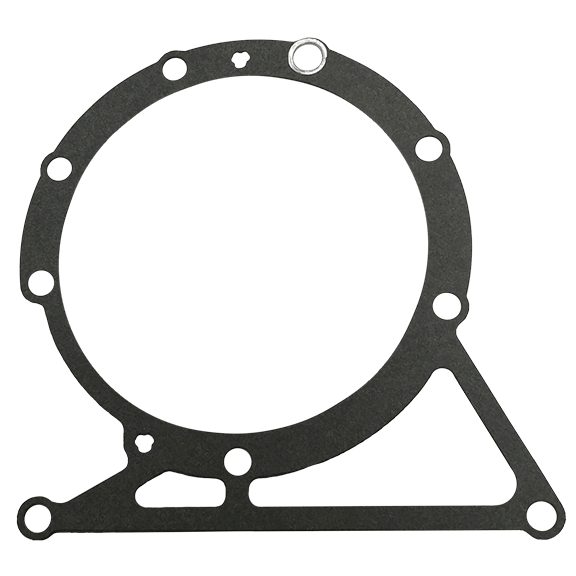 You can also purchase a complete mounting gasket kit along with a new timing pointer. 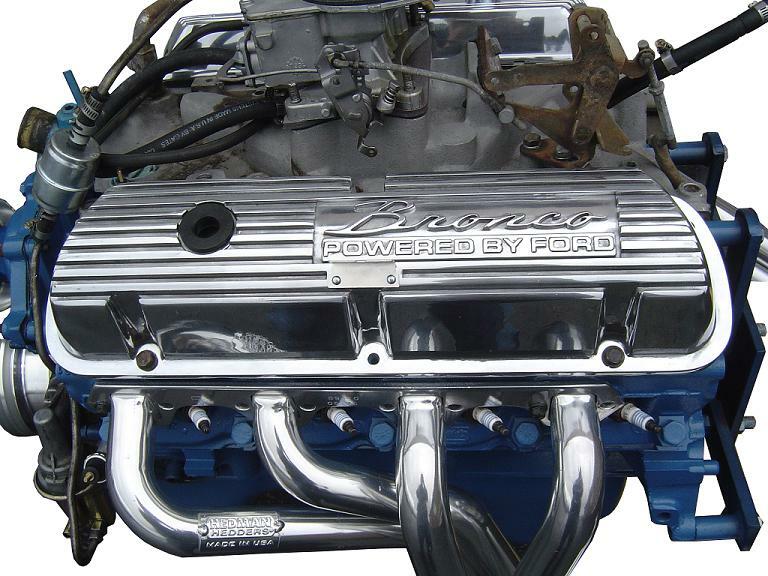 If you are looking to replace the valve covers in your Early Bronco, we have several options. 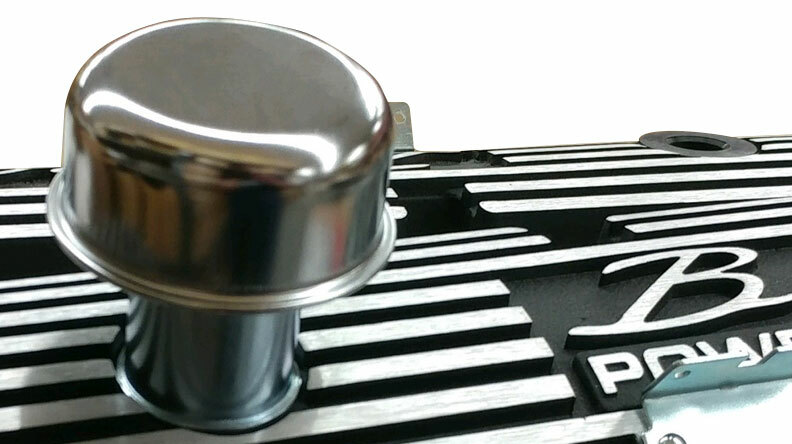 The most popular choice is our Black Aluminum Valve Covers with Chrome Bronco Script. These valve covers are a great looking upgrade from the original valve covers. For those looking for a stock replacement, we have OE Style Replica Valve Covers for your 289 or 302. 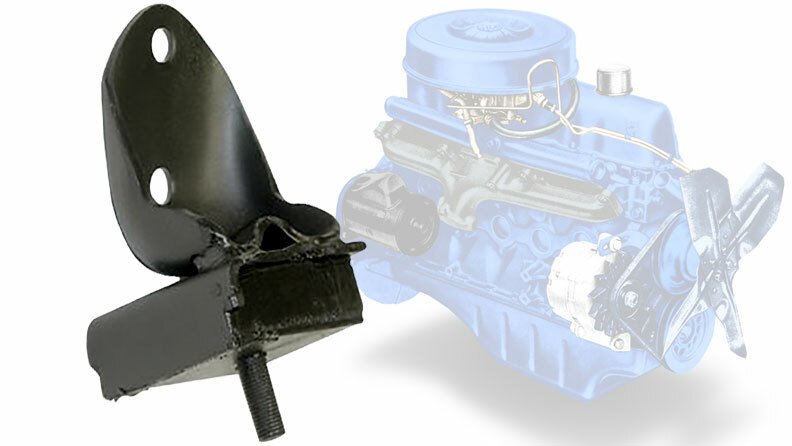 The OE Style Valve Covers are available in factory blue finish or chrome. 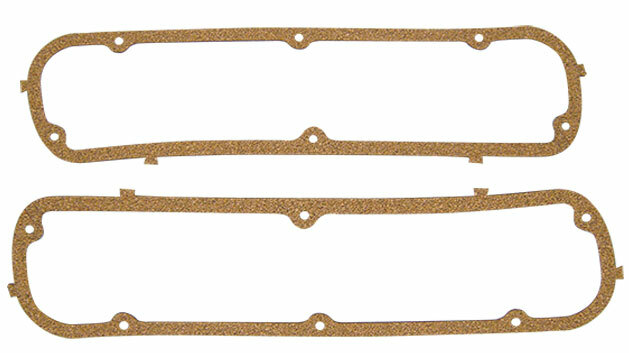 Full line of Engine Parts and Engine Accessories for 66-77 Ford Broncos. Performance Parts, Chrome Dress Up, Custom Valve Covers and Much More.